We all here a lot of news about Bitcoin and other cryptocurrencies. Bitcoin peaked about a month ago, on December 17, at a high of nearly $20,000. As I write, the cryptocurrency is under $11,000... a loss of about 45%. That's more than $150 billion in lost market cap. Cue much hand-wringing and gnashing of teeth in the crypto-commentariat. It's neck-and-neck, but I think the "I-told-you-so" crowd has the edge over the "excuse-makers." Here's the thing: Unless you just lost your shirt on bitcoin, this doesn't matter at all. And chances are, the "experts" you may see in the press aren't telling you why. In fact, bitcoin's crash is wonderful... because it means we can all just stop thinking about cryptocurrencies altogether. In a year or so, people won't be talking about bitcoin in the line at the grocery store or on the bus, as they are now. Here's why. Bitcoin is the product of justified frustration. Its designer explicitly said the cryptocurrency was a reaction to government abuse of fiat currencies like the dollar or euro. It was supposed to provide an independent, peer-to-peer payment system based on a virtual currency that couldn't be debased, since there was a finite number of them. That dream has long since been jettisoned in favor of raw speculation. Ironically, most people care about bitcoin because it seems like an easy way to get more fiat currency! They don't own it because they want to buy pizzas or gas with it. Besides being a terrible way to transact electronically - it's agonizingly slow - bitcoin's success as a speculative play has made it useless as a currency. Why would anyone spend it if it's appreciating so fast? Who would accept one when it's depreciating rapidly? Bitcoin is also a major source of pollution. It takes 351 kilowatt-hours of electricity just to process one transaction - which also releases 172 kilograms of carbon dioxide into the atmosphere. That's enough to power one U.S. household for a year. The energy consumed by all bitcoin mining to date could power almost 4 million U.S. households for a year. Paradoxically, bitcoin's success as an old-fashioned speculative play - not its envisaged libertarian uses - has attracted government crackdown. China, South Korea, Germany, Switzerland and France have implemented, or are considering, bans or limitations on bitcoin trading. Several intergovernmental organizations have called for concerted action to rein in the obvious bubble. The U.S. Securities and Exchange Commission, which once seemed likely to approve bitcoin-based financial derivatives, now seems hesitant. 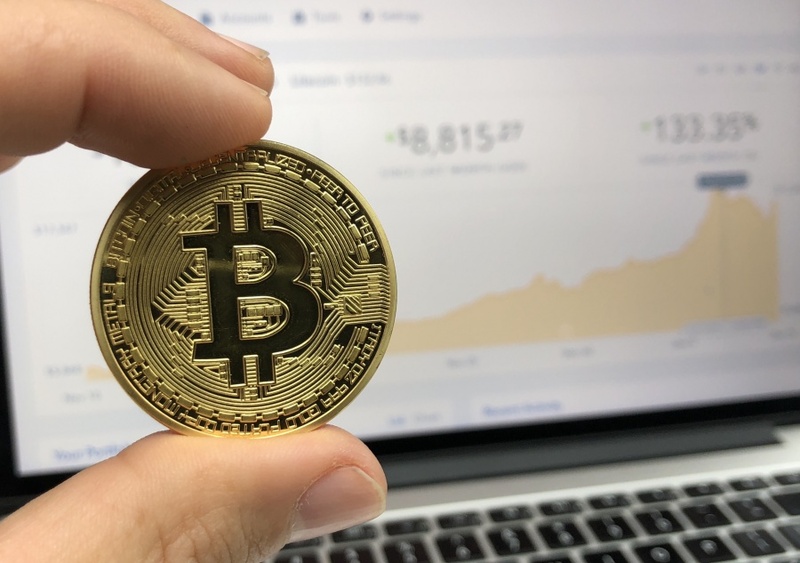 And according to Investing.com: "The European Union is implementing stricter rules to prevent money laundering and terrorism financing on virtual currency platforms. It's also looking into limits on cryptocurrency trading." We may see a functional, widely accepted cryptocurrency someday, but it won't be bitcoin. Good. Getting over bitcoin allows us to see where the real value of crypto assets lies. Here's how. To use the New York subway system, you need tokens. You can't use them to buy anything else... although you could sell them to someone who wanted to use the subway more than you. In fact, if subway tokens were in limited supply, a lively market for them might spring up. They might even trade for a lot more than they originally cost. It all depends on how much people want to use the subway. That, in a nutshell, is the scenario for the most promising "cryptocurrencies" other than bitcoin. They're not money, they're tokens - "crypto-tokens," if you will. They aren't used as general currency. They are only good within the platform for which they were designed. If those platforms deliver valuable services, people will want those crypto-tokens, and that will determine their price. In other words, crypto-tokens will have value to the extent that people value the things you can get for them from their associated platform. That will make them real assets, with intrinsic value - because they can be used to obtain something that people value. That means you can reliably expect a stream of revenue or services from owning such crypto-tokens. Critically, you can measure that stream of future returns against the price of the crypto-token, just as we do when we calculate the price/earnings ratio (P/E) of a stock. Bitcoin, by contrast, has no intrinsic value. It only has a price - the price set by supply and demand. It can't produce future streams of revenue, and you can't measure anything like a P/E ratio for it. One day it will be worthless because it doesn't get you anything real. The crypto-token ether sure seems like a currency. It's traded on cryptocurrency exchanges under the code ETH. Its symbol is the Greek uppercase Xi character. It's mined in a similar (but less energy-intensive) process to bitcoin. But ether isn't a currency. Its designers describe it as "a fuel for operating the distributed application platform Ethereum. It is a form of payment made by the clients of the platform to the machines executing the requested operations." Ether tokens get you access to one of the world's most sophisticated distributed computational networks. It's so promising that big companies are falling all over each other to develop practical, real-world uses for it. Because most people who trade it don't really understand or care about its true purpose, the price of ether has bubbled and frothed like bitcoin in recent weeks. But eventually, ether will revert to a stable price based on the demand for the computational services it can "buy" for people. That price will represent real value that can be priced into the future. There'll be a futures market for it, and exchange-traded funds (ETFs), because everyone will have a way to assess its underlying value over time. Just as we do with stocks. What will that value be? I have no idea. But I know it will be a lot more than bitcoin. My advice: Get rid of your bitcoin, and buy ether at the next dip. Ted Bauman joined The Sovereign Investor Daily in 2013. As an expat who lived in South Africa for 25 years, Ted specializes in asset protection and international migration. Read more of what he has to say about offshore living here.